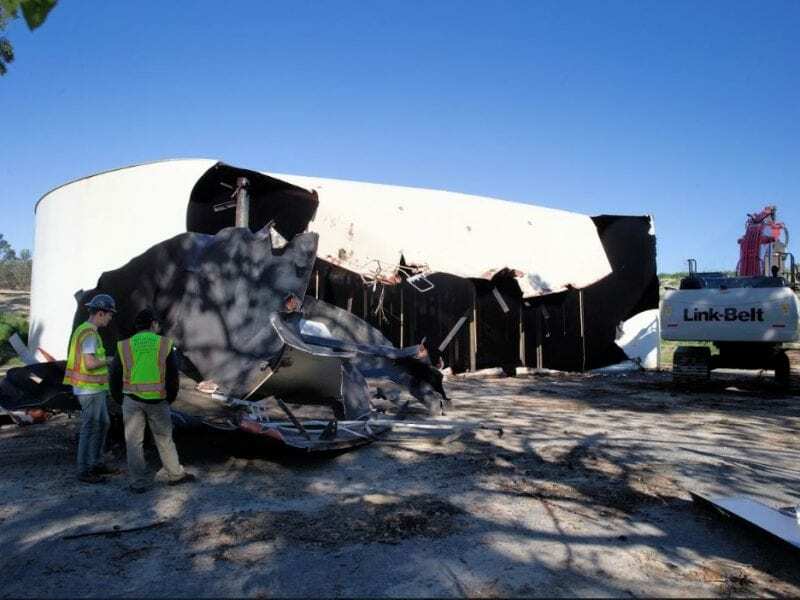 Orange County Industrial Demolition Contractors - Call Today! Andre Abajian of SoCal Removal is a top choice of local OC businesses because he is passionate about doing the best work at the fairest price. If you’re looking for a demolition contractor who will work with you to plan and execute your industrial wrecking demo project in the best way, contact Andre at 949-446-0000. Andre believes that communication is key to moving a construction project along. 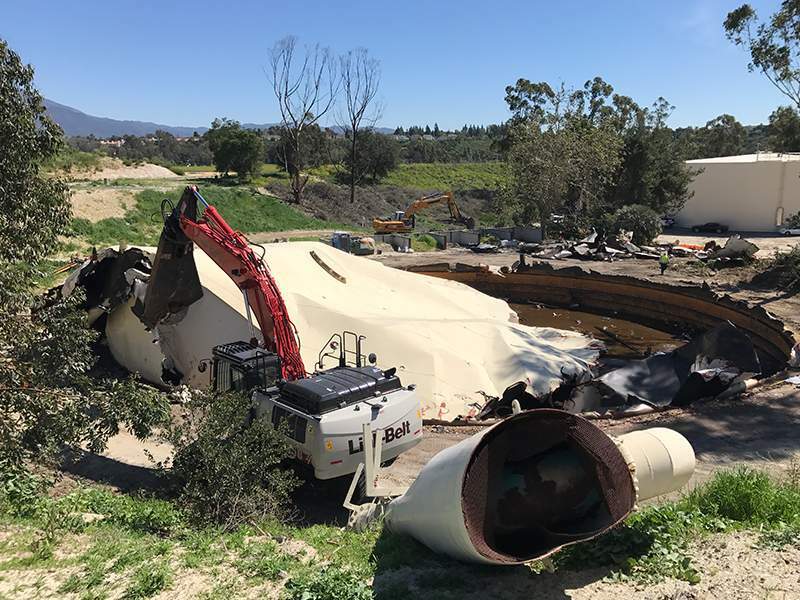 Recent projects include the complete demolition and removal of a 2 million gallon steel reclaimed water tank for the honorable Irvine Ranch Water District. 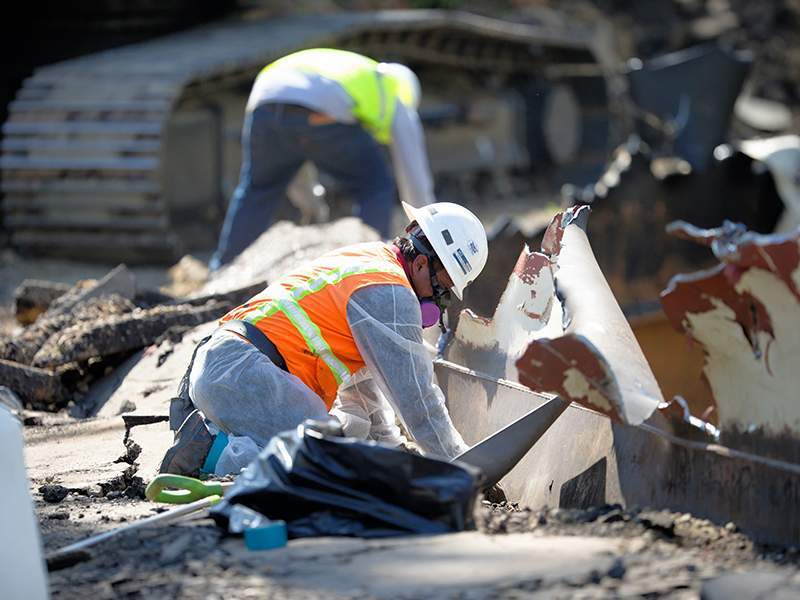 The project included the hazardous abatement of asbestos gaskets, burried transite pipes, related apparatuses and complete site grading. 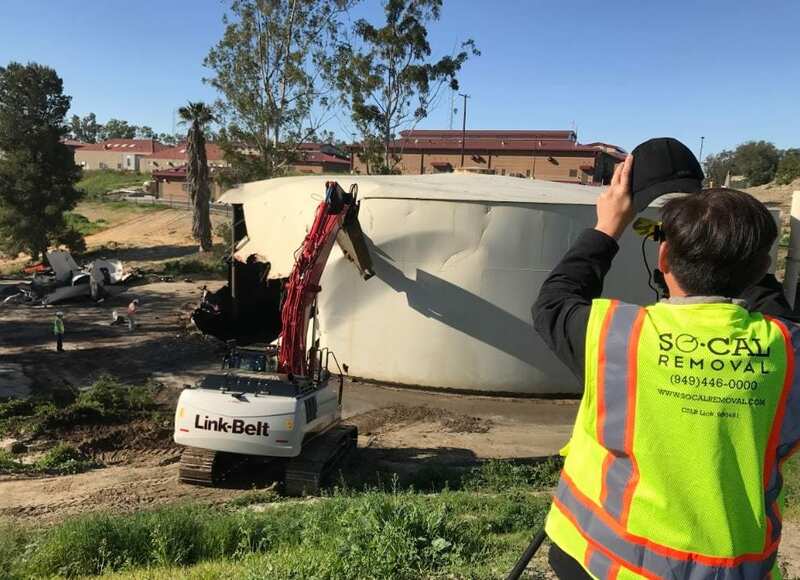 The steel tank exterior also housed EPA deemed toxic lead based paint in-which SoCal Removal had abated prior to the complete demolition. 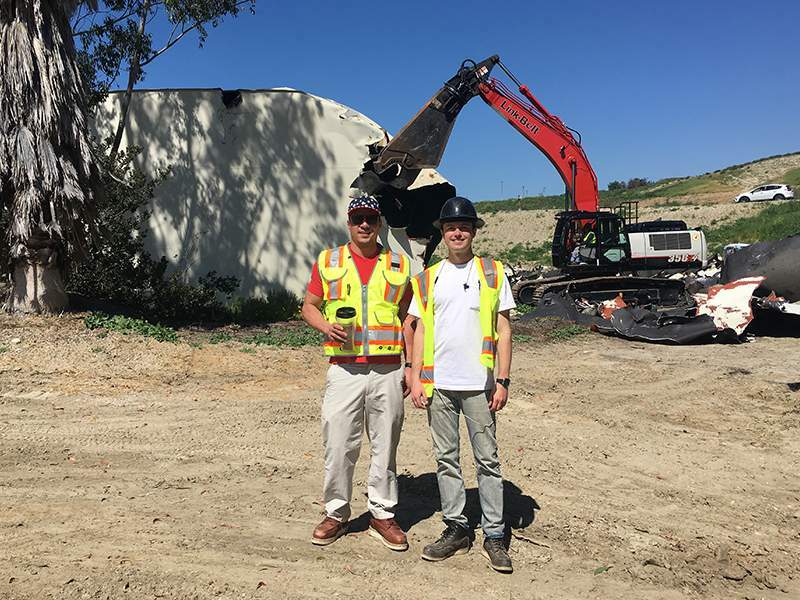 As a lifelong resident of OC who’s been around demo work all his life, Andre has the skill, experience and contacts to keep things moving along in the best way possible while doing an A-one job. Safety is key to prevent and eliminate unwanted injuries. OSHA certificates for scissor lift aerial booms fall protection are crucial. You need to work with a contractor whom will work with you from proposal to completion. Andre understands the planning involved in vacating a factory businesses space or structure by leaving it in good functional condition when occupancy originally took place. 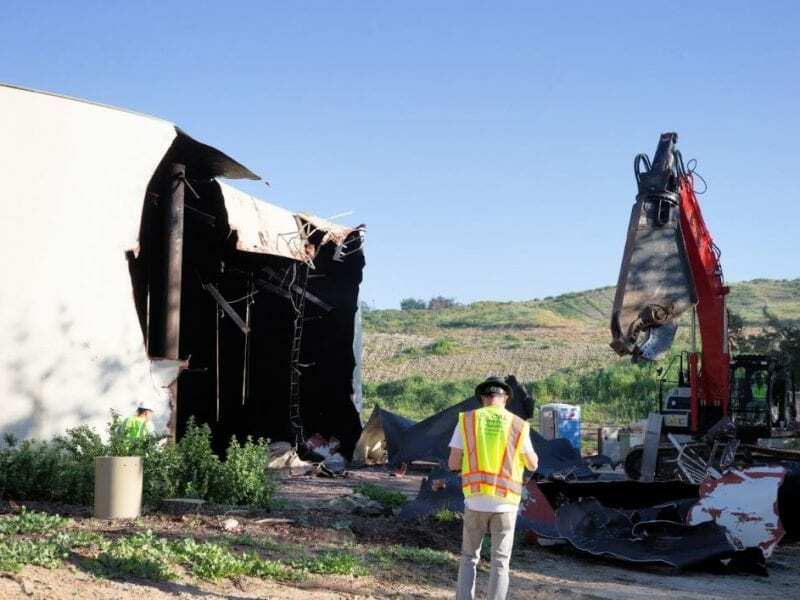 Andre and his team of interior demolition specialists will work with you to come up with the best plan possible to get you moved out according to schedule while adhering to OSHA standards and guidelines. 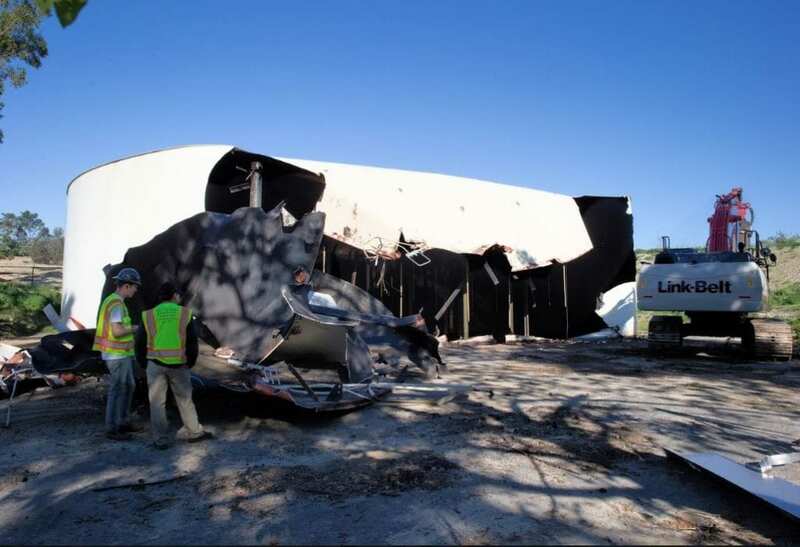 From the beginning stages of planning and throughout your industrial demo we will work with you to ensure the job is done right. Together we will come up with the best plan to stay within your budget and goals. You can count on Andre Abajian to meet or exceed your demolition standards to get the job done on schedule, within budget and in the best way possible. 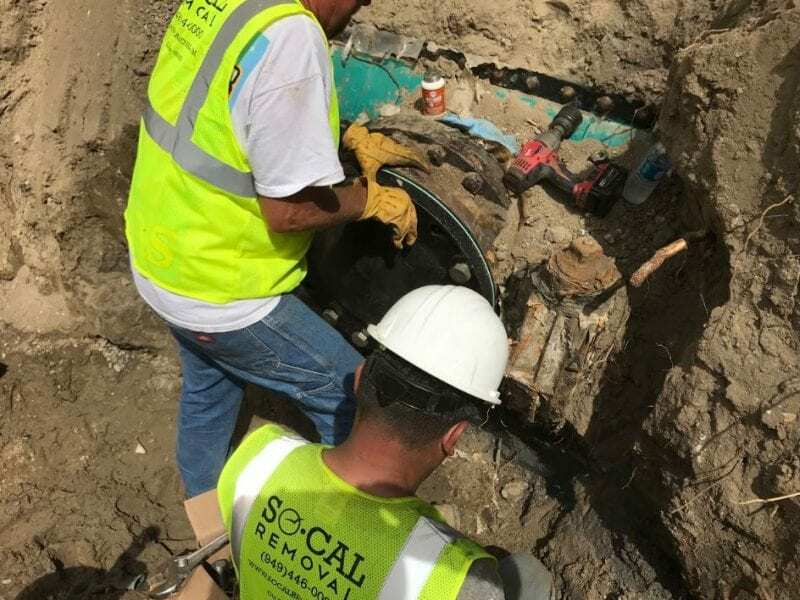 SoCal Removal provides direct service, accountability and the best results. We truly look forward to earning your valued business. 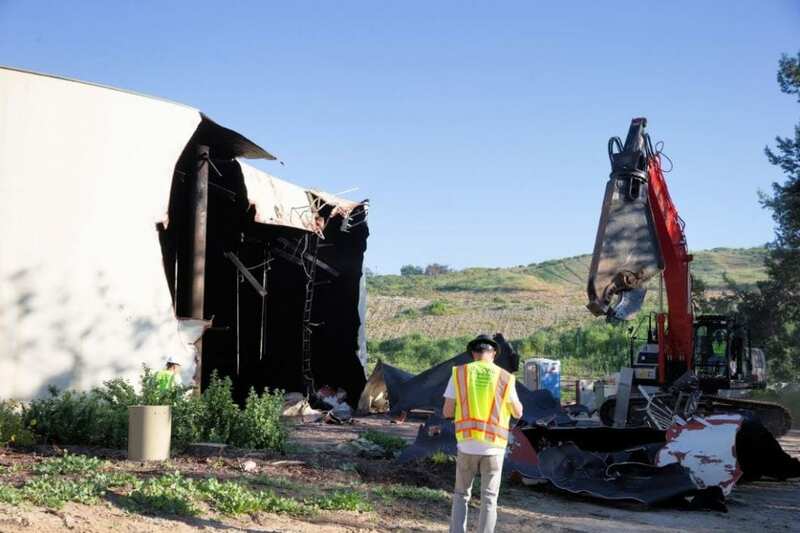 Call Andre Abajian now at 949-446-0000 to discuss your demolition project.